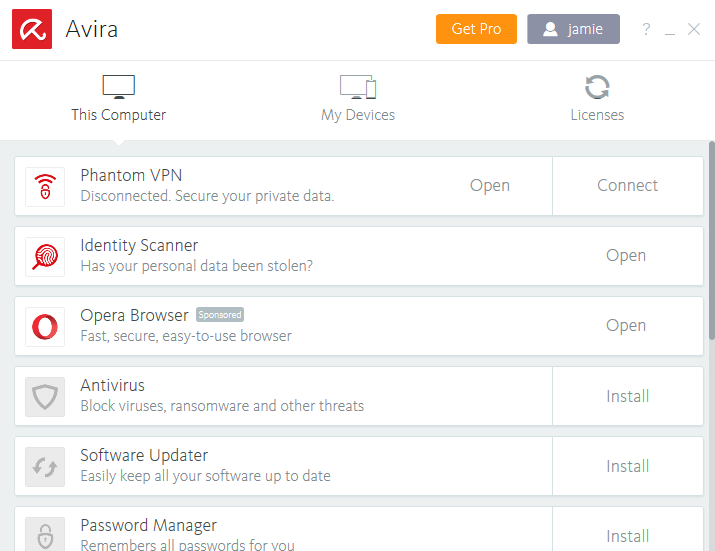 Avira Phantom is a VPN that uses top-of-the-line encryption and protocol. Indeed, Avira Phantom VPN comes from an established company that offers antivirus software, which definitely puts our minds at ease when it comes to legitimacy! With this in mind, Avira Phantom VPN obviously has a reputation to uphold in terms of keeping customer data secure and private. They also claim to let you get around geo-restricted content using their servers – handy. Let’s see if their claims are backed up with a great product, shall we? Love Netflix and chill but have no access to all the geo-restricted content you want to watch? With Netflix continuously getting better at blocking VPN connections, it can be a hassle to find a server that lets you watch your favorite show. Despite the speeds offered by Avira Phantom (see the Cons section), you’re in luck when it comes to support, because Avira Phantom VPN lets you access Netflix and other streaming sites on all their servers. So if you can get past sluggish speeds, support for streaming services is pretty solid. For more options for VPNs that work with Netflix, check out our top choices here. So Netflix is a tick on the list, but how about torrenting and peer-to-peer connections? We’re glad to report that this VPN enables peer-to-peer connections, meaning torrenting is indeed an option. However, they don’t exactly have a torrenting policy, so we’re not sure if you’ll be violating any of their terms by doing so, or if there’s any limitation to downloading. It’s up to you to be careful and read terms carefully when signing up for any service. That said, here are some best VPNs for torrenting if this is a priority for you. Once you’ve run the software on your desktop, it should lead you to a general Avira Application, which has a list of all the applications they have available. The interface is pretty clean and user-friendly so it shouldn’t give you a hard time in navigating. You should see there your Avira Phantom VPN, so simply click open. Once it’s open and you would like to connect to a server, then just click the “Secure My Connection” tab. The default server is the nearest one in your location, but if you click on the underlined “nearest location” in the app, it should take you to the list of servers that you can choose from. From there, you can just click on the server of your choosing. They also have a settings tab on the application but all it lets you configure is whether you’d like to choose a different server, launch the app automatically, turn on kill switch (for pro users), and send diagnostic data. The IP and DNS Leak Test: Passed With Flying Colors! We know the importance of having a leak-free VPN, that protects all your data and identity – that’s the point of a VPN, after all. Despite slow connection speeds that we experienced, we’re still glad to see that Avira Phantom VPN has no IP or DNS leaks! It seems Avira know how security works, and have got protection for their customers down to a fine art. Encryption and Protocols: How’s The Security? For Encryption, AviraPhantom VPN uses the best that money can possibly buy, offering 256-bit AES encryption. This top-of-the-line encryption is said to be created with layers of high-end security, so much so that it’s estimated that current PC architecture would take billions of years to hack through the encryption! Avira Phantom VPN has a default OpenVPN protocol, which is honestly the best in the protocol industry. Along with this, they also offer IPSec and IKEv2. Safe to say, this is a thumbs up for Avira Phantom from us. Like we mentioned earlier, Avira Phantom VPN offers a kill switch – but only for purchased plans. So if you spring for the free option, you better hope nothing goes wrong with your connection, lest your IP address or data be exposed to the internet. Of course, if you’ve paid for one of their pro plans, you’re best served by turning on your kill switch every time you connect to their servers. Pricing: What’s It Going to Cost You? With Avira Phantom VPN, you can either opt to go for the Free version, or go Pro. Going Pro allows you to choose from three different plans; one that’s priced at $10.00 a month and works on any device that’s supported, one that you can pay annually that’ll set you back $78.00, and their final offering costing $4.99, that only works with Android and iOS devices. Avira Phantom’s Pro packages offer unlimited bandwidth, encrypted traffic, access to geo-restricted sites, DNS leak prevention, multi-device connection, kill switch, and tech support – a solid offering. If you’re trying to save some money but are still looking to make use of a VPN, Avira Phantom VPN also offers a free version. The free version pretty much offers the same things as the aforementioned pro packages; however, you’ll be limited to a data cap of 500MB per month. The free variant also doesn’t include a kill switch, and doesn’t offer any tech support – so if you experience problems, you’re on your own. Overall, the free variant is nice, but we believe the prices are a little on the high side. Avira Phantom lets you pay via major credit cards such as Visa, Mastercard, AmericanExpress, and JCB. They also allow Paypal payments if that’s how you prefer to pay. Unfortunately, they don’t allow bitcoin or cryptocurrency payments, or any other anonymous payment methods – which is unfortunate. 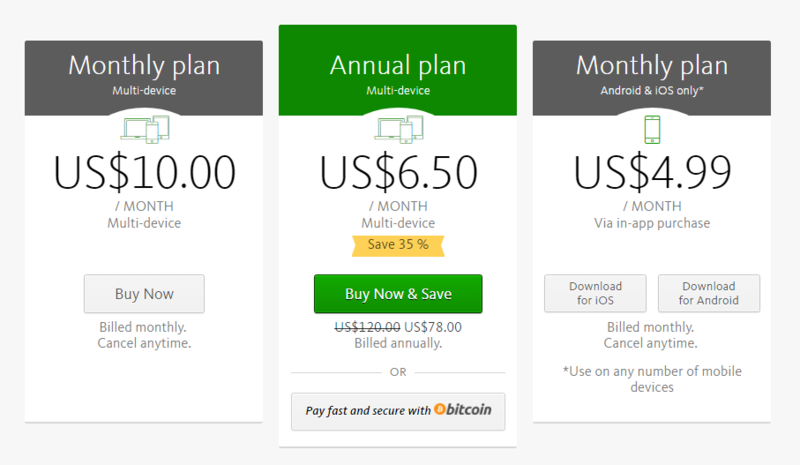 All of Avira Phantom’s Pro plans have a 30-day refund policy, which don’t include any restrictions, unlike other VPNs. So if one day during that 30 day period, you decide you no longer need a VPN, you won’t struggle to get your money back. AviraPhantom VPN is available on all major platforms like Windows, MacOS, iOS, and Android. They also have a Chrome extension available. Sadly, if you’re a Linux user or want to use a VPN with routers, this isn’t the service for you. 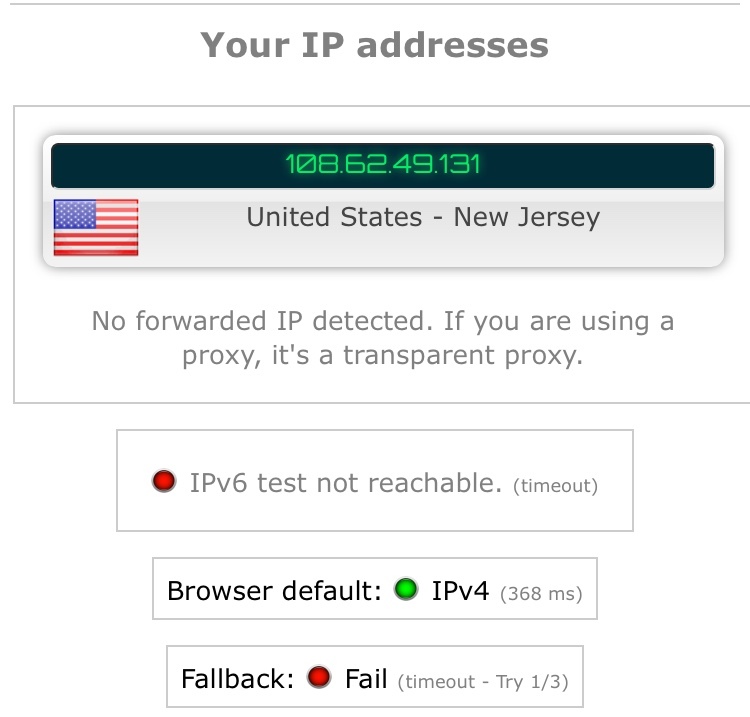 AviraPhantom’s VPN service doesn’t support such devices. How Easy is Signing Up? To sign up for Avira Phantom, head to their website, and click on the half body icon located at the upper right corner. It’ll take you to their login/register page. You can either sign up using an email of your choice, your Facebook account, or your google account. 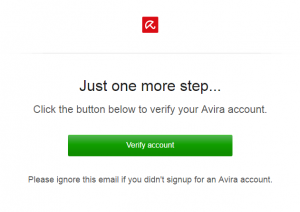 If you opt for the email sign up, you’ll receive an email from Avira Phantom asking you to verify your account. All you have to do is click the tab in the email and it’ll open a new tab that leads to your dashboard. Now back to your dashboard; at the bottom of the page you’ll see three easy steps to download your software, so just follow that and you’re good to go! Currently, Avira Phantom VPN only has a total of 36 servers in 25 different countries, many of which are located in the US. Compared to other VPNs, it’s really not a lot but they do, however, have a number of major areas covered; the US, UK, Hong Kong, Canada, and Australia are all covered by Avira Phantom’s servers – and even better, they all seem to work without a hitch. They’ve also promised to add more servers in the future, so perhaps we’ll soon see more support globally, and healthy competition with other VPNs that offers large server selections. Is the VPN fast? Well…no. Not really. 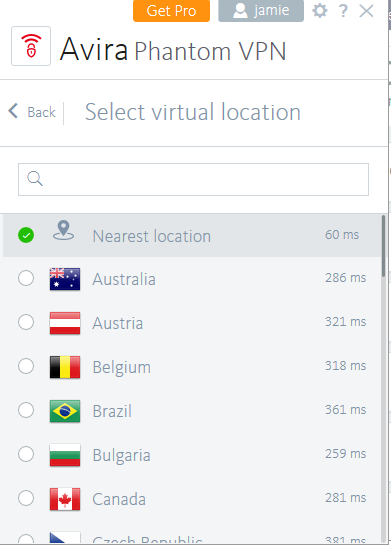 One important factor when choosing a VPN is speed. You want to be able to easily torrent, stream, or surf the internet without lag issues or long load times. For a VPN that only has a few servers, you’d expect decent speeds. We put Avira Phantom VPN to the test, and unfortunately, the results weren’t impressive to say the least. The results we got are, to put it lightly, terrible. On top of this, other users are also experiencing terribly slow connections. Not great. Safe to say, if you’re looking for great speeds with your chosen VPN, look elsewhere. Customer Support: Unless you pay, it’s pretty much not there. If you’re lost or having trouble, and in need of assistance, we hope you’re using a purchased plan. Why? Because as previously mentioned, AviraPhantom VPN doesn’t have any support whatsoever for free users. For paid users, AviraPhantom VPN offers phone and email support. Their customer support is offered in multiple languages, so you don’t have to worry about getting support from someone who doesn’t speak your native language – a great addition to their support service. Unfortunately, we’ve heard reports of users who have purchased the pro version of Avira Phantom VPN claiming to have gotten terrible service; the answers they received weren’t useful in solving their issues. Since Avira is home to multiple products and not just Avira Phantom VPN, they don’t offer an FAQ or Knowledge Base page solely for their VPN service. Instead, they have a general support page where users can search for their issues, and hope that someone has already offered a solution. The results aren’t filtered either, so you’ll likely receive a lot of results, so it’s best to try and be specific with your search terms – not ideal if you don’t know what your issue is, or can’t describe it briefly. Logging Policy: Is Your Data Stored? 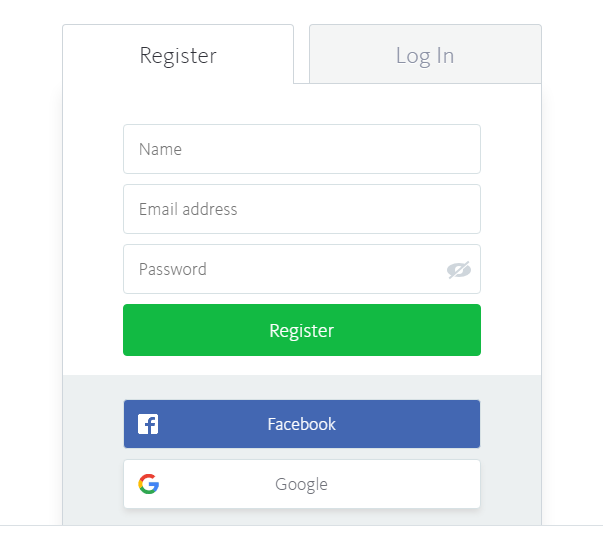 Registration information – Your name, email address, IP address, the device you’re using, and any other information they might’ve asked you to input upon registration. Information when visiting their site – this includes the region you’re in, information on your device, and your operating system. Usage Information – the data volume you’ve consumed. Support Inquiries – If you’re able to contact them, they’ll store the information transmitted during the inquiry, such as the personal information you gave, or the inquiry itself. That’s a lot of data kept by a company offering a service designed to provide anonymity and data-tracking protection. Big thumbs down from us here. As we’ve mentioned earlier, Avira Phantom VPN is from a German company named Avira Operations GmbH & Co, that not only offers VPN services, but multiple other products such as antivirus software, a password manager, Applock, Optimizer, and more. The company is headquartered in Tettnang, Germany. A great place to visit, but not so great for privacy-concerned people as they fall under the 14 Eyes’ jurisdiction. For clarity, the 14 Eyes jurisdiction is a set of countries that agree to share information they collect on people who live in their nations. It’s a way to avoid privacy laws in their own countries, that prevent them from spying on their own citizens. 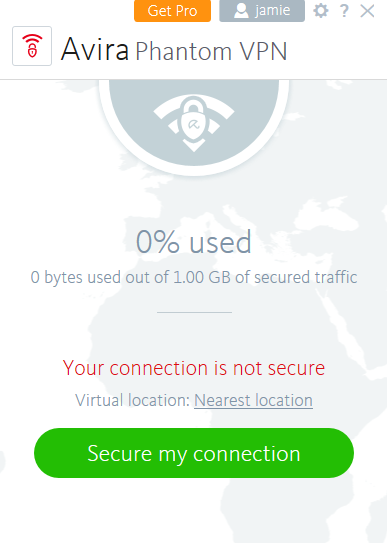 What does this mean for you, if you’re using AviraPhatom’s VPN? Well, your data is subject to receipt by any of the 14 countries, to put it simply. For this reason alone, we’d recommend an alternative. See the conclusion for our full verdict. Avira Phantom VPN Conclusion: It’s a no. Sorry, Avira. So what do we think of Avira Phantom VPN? We think it’s great that they offer a free version and not just a free trial. The access to Netflix and peer-to-peer is also a big plus, along with availability for all major platforms, though the lack of Linux support is a miss. Unfortunately, that’s where the positives for Avira Phantom VPN end. Their logging policy combined with the fact that they’re under the Fourteen Eyes jurisdiction means your data might be protected with strong encryption, but Avira themselves have no qualms about storing and serving your data up on a plate. The lack of customer support and a specific knowledge base page is another poor effort by Avira. They’ve also got a small pool of servers and their frankly embarrassing speeds are the final nail in the coffin. In conclusion, Avira is probably a good antivirus software, what with its renown in the industry. When it comes to their VPN however, there’s a lot of fundamentals missing. It’s a strong thumbs down for Avira’s VPN service from us. Look elsewhere if you’re looking for privacy, speeds, and support. Want to find the perfect VPN for you? Check out our top 10 VPN recommendations!